Below is a Risk Warning to members of the public which choose to join Muggaccinos bicycle rides. 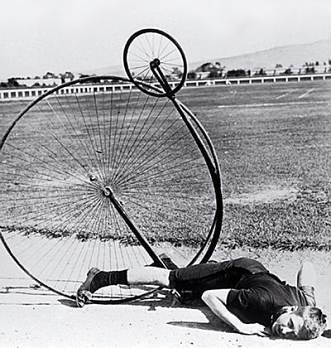 Some forms of cycling are dangerous. An ave of 36 Australian cyclists have been killed annually since 2000, which is lower than the average during the 1990s of 60 fatalities each year. 95% of these fatalities occur on the road, and less than 5% of deaths resulting from trauma accidents were off road. 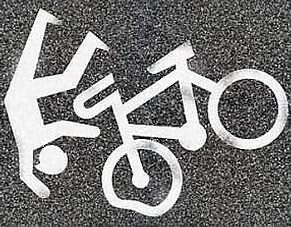 Other cyclists in Australia break bones and incur nerve impairment from falling off their bikes in accidents which may be very painful. (iii) getting their bicycle wheel caught in a gap in a timber bridge. "Cyclists are accidents waiting to happen." An injured cyclist, who did not have personal injury insurance (ie self-employed without income protection cover) could struggle to meet regular outgo commitments. Ignorantia juris non excusat is a tenet with its origins in Roman law. This legal maxim is applied in Australian jurisprudence. An inviter asserting that he did not know that he/she owed a duty of care to another person who engages in a recreational activity to take care in respect of a risk of the activity without providing a pertinent risk warning to the invited person(s) is not a defense under Australian law. in the "Ride Participants Liability Acknowledgment" form (1st HTML LHS of this page). 33 cyclists participated in our inaugural "Tour de Wisemans Ferry" - circa June 2003. We stayed at Del Rio Resort 3km West of W.F. Alas, three weeks' après our sortie into Deliverance Country a bush fire 'took-out' the main office.